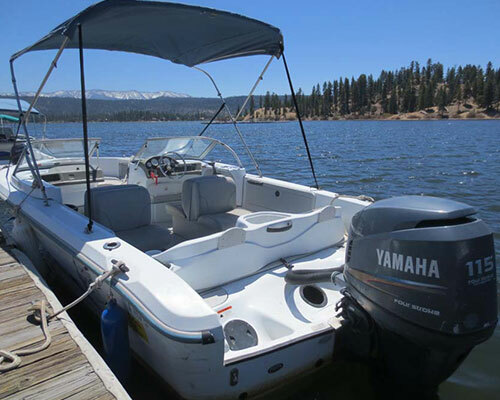 A Big Bear Lake marina that services both visitors and residents, we now have two different locations and know that you will agree that Captain John’s Fawn Harbor & Marina and Captain John’s Marina Big Bear are the best spots for lake sports fun. 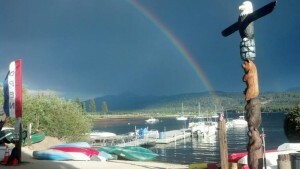 On the North Shore, the Big Bear Lake marina known as Captain John’s Fawn Harbor & Marina sits nestled adjacent to the nature preserve of Grout Bay. 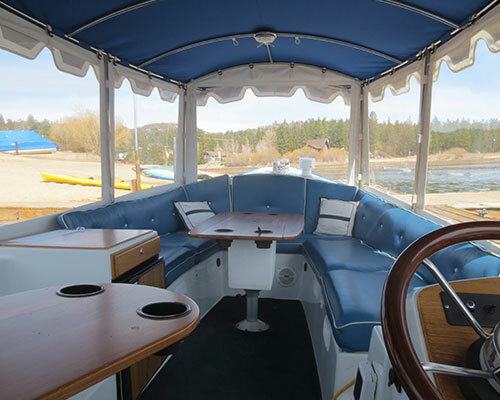 You’ll find boat services and storage, dock building and repair, boat slips, moorings and a launch as well as watercraft rentals and environmentally friendly lake boat tours. As the only eco-friendly marina in the area, we also maintain a lakeside beach, a picnic area event location, BBQ and horseshoe pits for visitors who rent at Captain John’s. 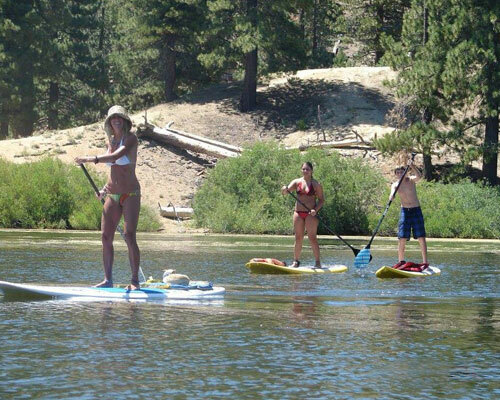 For the water sports novice or enthusiast, you’ll find specialty water sports lessons, more intensive clinics with well known professionals in water sports, along with water sports fitness classes such as paddle fit and floating yoga, and many community oriented events. The North Shore marina is a full service location and favorite spot for those seeking to rent a location for a casual wedding, birthday or other celebration. 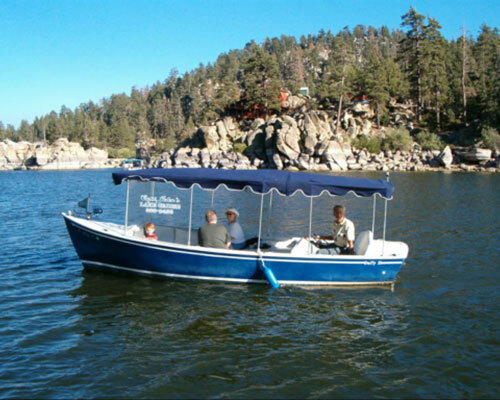 Consider a lake boat cruise private rental option for a super special event. 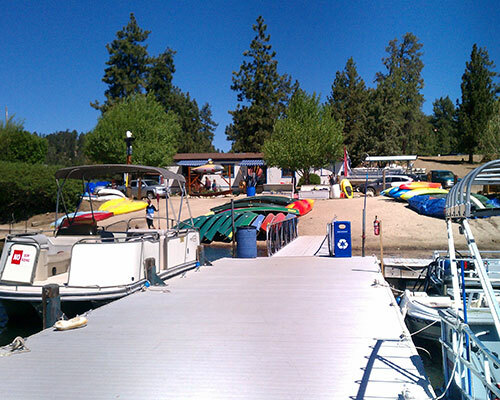 On the South Shore, Captain John’s Marina Big Bear is nestled near Meadow Park. 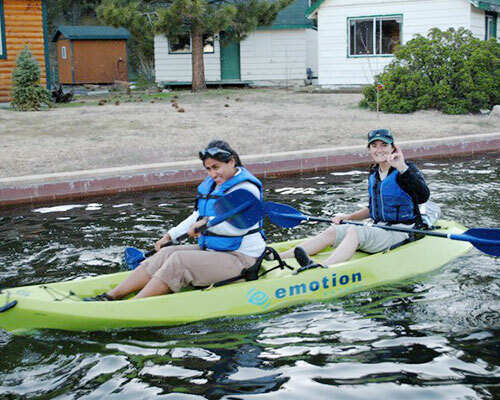 This location is strictly for non-motorized watercraft rentals and has limited days and hours of operation. However the views, ease of access and quiet play area make it another family friendly location. 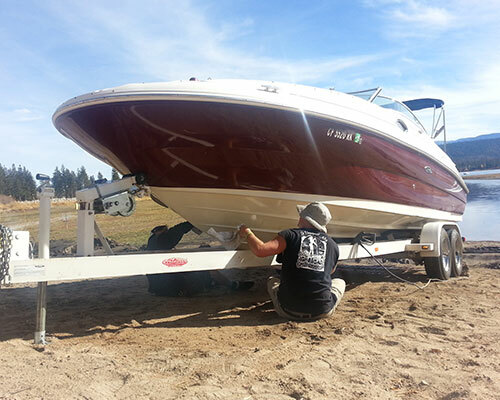 Our family run Big Bear marinas are managed under the helm of two generations–father and daughter. And yes, there really is a Captain John, a well known personality throughout the Big Bear area, Captain John Saunders came to the valley in his teens and is known for his love of nature, music and life. His daughter, Captain Serena Saunders is a sports enthusiast who loves the theater and live music. Her business skills have attracted a team of employees with not only unique qualifications, but also fun loving spirits that create an atmosphere you won’t find anywhere else. Established in 1995, our full service marina in Fawnskin is a certified green marina that is also both family friendly and dog friendly! 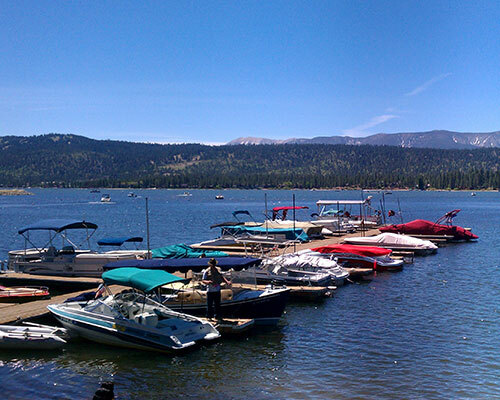 we invite you to come spend a day with use when you visit the beautiful mountain lake resort known as Big Bear.